Causes, symptoms and treatment for blindness. Blindness is a condition characterized by the limited or complete loss of a rabbit's eyesight. 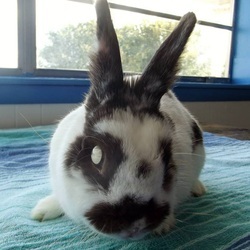 Age: Similarly to humans, a rabbit's eyesight can deteriorate naturally due to aging. Genetics: It is possible for a rabbit to be born blind or with some hereditary condition that affects their eyesight. Cataracts: A cataract is an opaque film that forms on the lens of an eye. This film reduces the amount of light that passes through the lens, affecting the eye's ability to focus. As a cataract progresses, sharpness and contrast weaken and the rabbit's overall vision is affected. Cataracts primarily develop with age, but they can also be affected by diet, trauma, light exposure and e. cuniculi. Glaucoma: Glaucoma is a condition of high pressure in the eye. Rabbits with glaucoma are unable to regulate the fluid in their eyes. They either overproduce fluid or are unable to drain it properly. The blockage creates too much pressure in the eye, which can cause damage to the retina- leading to blindness. E. cuniculi: The encephalitozoon cuniculi parasite can sometimes cause cataracts. For more information on e. cuniculi, see our Head Tilt page. What Are The Symptoms of Blindness? How Do You Treat Blindness? If you suspect that your rabbit is blind (or is going blind), it is important to consult your veterinarian as soon as possible. Many eye conditions are painful and prompt treatment is crucial, as well as your best chance to preserve your rabbit's eyesight. During your visit, your vet will start by examining your rabbit's eye (or eyes) with an ophthalmoscope to look for trauma or to confirm cataracts. They may conduct head x-rays to rule out tumors or abscesses or blood tests to rule out e. cuniculi. If glaucoma is suspected, they will test the pressure within the eye/s using a tonometer on the eye’s surface. Cataracts: Cataracts are commonly treated with surgery to remove the lens. In dogs, the lens is often replaced with an artificial lens- but this is not recommended for rabbits. 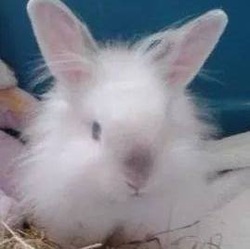 The result is that the rabbit will be able to see, just not in sharp focus. Sometimes, surgery cannot be performed due to age or health, or you may elect not to do surgery. Because cataracts often develop slowly, rabbits who develop them have the advantage of having time to adjust to gradually fading sight. These rabbits often learn to adapt to life with limited vision, so this is something to consider if you are hesitant or unable to pursue surgery. Now, there are some medications (eye drops) said to have the potential to decrease the size and density of cataracts. These are considered on a case by case basis and each rabbit will have a different experience with such medications. Speak with your vet about these options and whether they may be appropriate for your rabbit’s particular case. Glaucoma: Treatment for glaucoma will depend on the condition’s severity. If the pressure in the eye/s is only mildly or moderately elevated, you will likely receive eye drop medications to control that pressure. These medications are often lifelong necessities and your rabbit will require regular visits to the vet to check their pressure level. The goal with medications is to keep the eye visual and keep the rabbit comfortable for as long as possible. If the condition is causing pain and/or the pressure cannot be moderated, surgery may be necessary. This could be ablation, which stops the eye’s ability to produce fluid thus reducing the pressure, or enucleation, which means removing the eye altogether. An experienced veterinary ophthalmologist can further inform you of these options and what would be best for your rabbit. Keep things consistent. 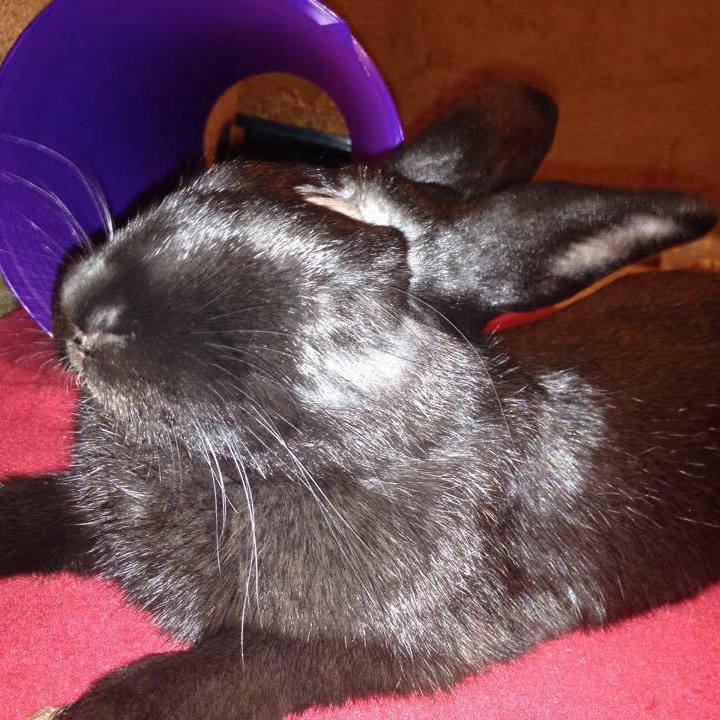 Change can be very stressful for blind bunnies, especially when it comes to altering their living space. Try to keep things in the same place- houses, water dishes, food bowls, litter box, etc. If you do need to make any changes, do so slowly. Make sure their living area is safe for them. Limit objects that they can get stuck in, behind or under. Ensure that there is nothing in their area that can harm them (sharp objects, etc.). If you use an exercise pen, consider lining the sides with baby crib bumpers. This comfy padding is great in case they run into or rub up against the bars. Make sure that play areas are as free as possible of obstacles. Remove any sharp objects, objects that they can get stuck behind or under, etc. If your rabbit has recently lost their sight, limit their play area at first to a very safe, smaller area. Gradually expand the area, allowing them time to get comfortable playing in the space. Make sure that you always have a familiar hiding place available in case your rabbit gets nervous and wants to retreat. Blind rabbits rely heavily on their sense of smell. Try to avoid wearing strong perfumes, or using scented candles or house fragrances. Because they cannot see you, it can help to alert your rabbit to your approach by talking to them or shuffling your feet. When reaching to pet them, be very gentle and soft in your approach. Give them time to sense you by sound or smell. Try to lift/hold a blind rabbit as little as possible (unless you are sure s/he enjoys it). 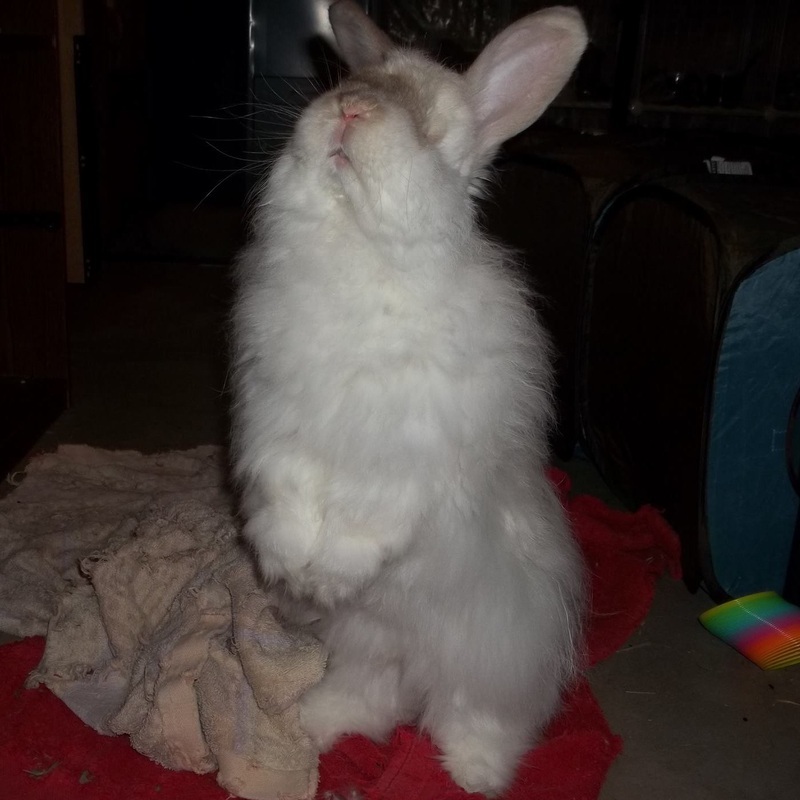 Being lifted off the ground is already scary for most rabbits and can be even more so for blind ones. It can also leave them quite disoriented when you place them back down. Blind rabbits tend to like to chew more as a way of investigating their surroundings. Keep this in mind and make sure your house is safely bunny-proofed. When you clean your rabbit's pen, try to leave a few items with familiar scents behind to help them get their bearings. This can be a stuffed animal, bed or small blanket. Also, leaving a small bit of used litter in their bin can help them find it after you've cleaned. If your rabbit gets lost or confused while out for play time, return them to their “home base”- a place that’s familiar such as their house, litter bin, bed or feeding area. Try to keep to a routine. Have a set feeding time, cleaning time, etc, so your rabbit knows when to expect you. Don’t let strangers approach your rabbit without fair warning and a gentle introduction. Your rabbit is used to your smells and sounds. A new visitor can be scary. If your rabbit is not already bonded, a gentle companion could be very comforting. Keep in mind, though, that blind bunnies can be very difficult to bond because of the nervousness that arises from their lack of sight. Try contacting your local rabbit rescue. They can point out rabbits who may be good candidates for a blind bunny and can even help you with the bonding process. Rabbits can adapt remarkably well to life with limited or no sight. We know lots of little bunnies with varying levels of vision impairment, even some who have had to have eyes removed. It can be difficult to adjust at first, but many bunnies would surprise you with their ability to find their way around, explore, binky and play with all the enthusiasm of a full sighted bun. Follow the tips above; keep their environment consistent and be very, very patient. Once they get their bearings, they will be back to doing bunny 500s in no time.